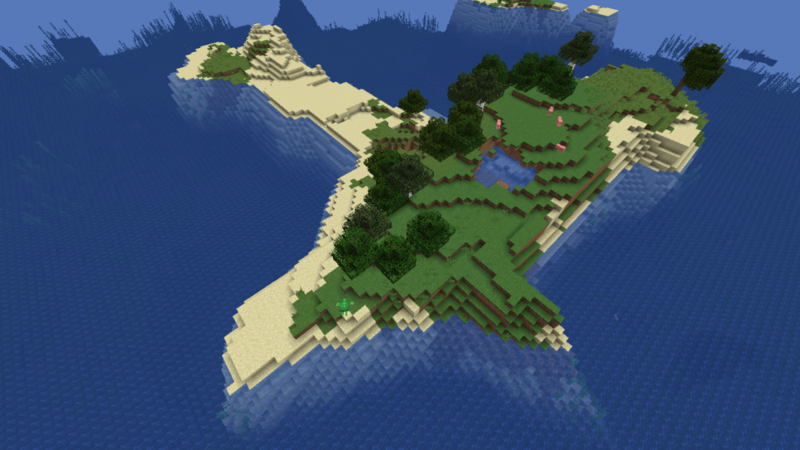 A large (questionably shaped) island with lots of sand for turtles to spawn on! An ocean monument is just offshore to the west and there’s a shipwreck a little ways to the northwest. There is also an interesting cave system and a small ravine on the island. Perfect for a castaway survival scenario or just if you want to fight some elder guardians!